New Year! New Classes! New Location! Happy New Year to you! I hope it has been suitably delicious so far and you are ready to embrace the rest of the year with gusto! I’m currently in the UK, having a gorgeously nurturing time, missing you but excited to return to Bergen for a new year of yoga gorgeousness with exciting new projects. So i’ll crack on with details of my new teaching schedule. This year I will be holding classes in some familliar and some new locations. 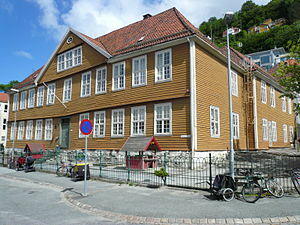 I’m very pleased to be returning to teach for SiB and Yogarommet in 2012, plus i’m really excited to announce a new bonanza class which will be held every Thursday evening in Norway’s oldest Kindergarten, Bergen Barneseasyl in a sweet space called Herosalen. It will be a weekly gathering and your first class is free, just bring a mat! Please email me to reserve your space, first class is Thursday 19th January at 18:00. So excited to see gorgeous faces, familliar and new! For more information about classes and locations, please click here! This entry was posted in #365yoga, lifestyle, news, schedule and tagged Barneasyl, Begen, classes, Herosalen. Bookmark the permalink.